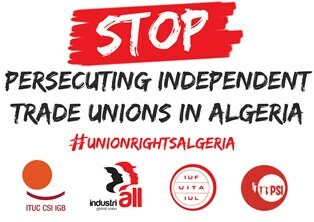 The government of Algeria is escalating its war on worker rights and independent trade unions following a critical report issued by the ILO Committee on the Application of Standards at this year's International Labour Conference. Independent unions face a new wave of repression and have been personally, viciously attacked by the Labour Minister, who has also threatened to withdraw Algeria from the ILO. IUF U.S. affiliates have expressed outrage at the actions of the Immigration and Customs Enforcement Agency (ICE) which detained 146 workers in raids at a Fresh Mark pork processing plant in Salem, Ohio where workers are members of the RWDSU/UFCW. The migrant workers who risk prosecution and deportation are mostly from Guatemala, and have settled with their families in Ohio. Pride month is an opportunity to stand up for LGBTI workers' rights! The IUF calls on affiliated organizations to organize, fight and win on LGBTI workers' rights and union issues and to speak out against injustice against LGBTI workers. HAPPY PRIDE! 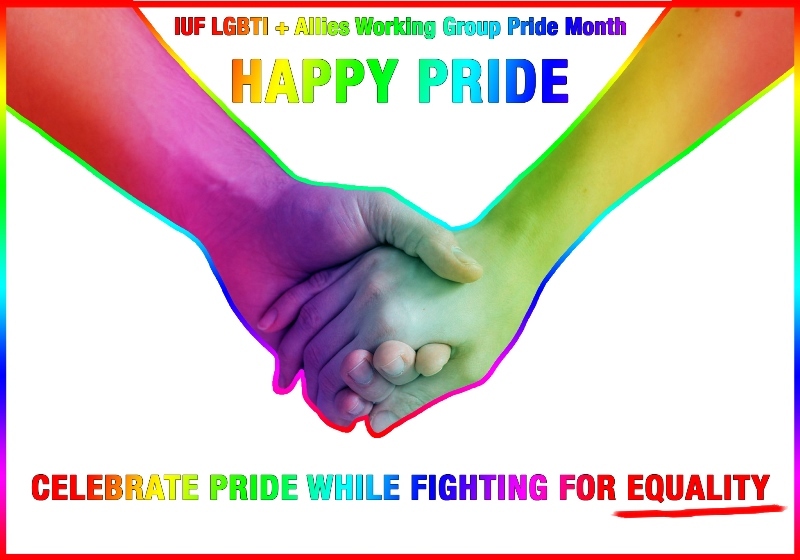 Read more about Pride month is an opportunity to stand up for LGBTI workers' rights! 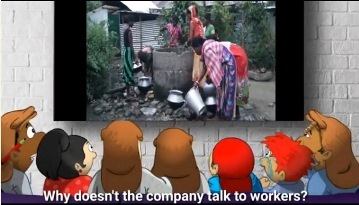 For the past two years, women workers on plantations in the states of Assam and West Bengal which supply tea to UK-based Tetley have been organizing to demand decent water and sanitation - a fundamental human right. Tetley acknowledges workers face water 'challenges', but has no plans for negotiating with the workers' self-organized committees. CLICK HERE TO SEND A MESSAGE TO TETLEY! 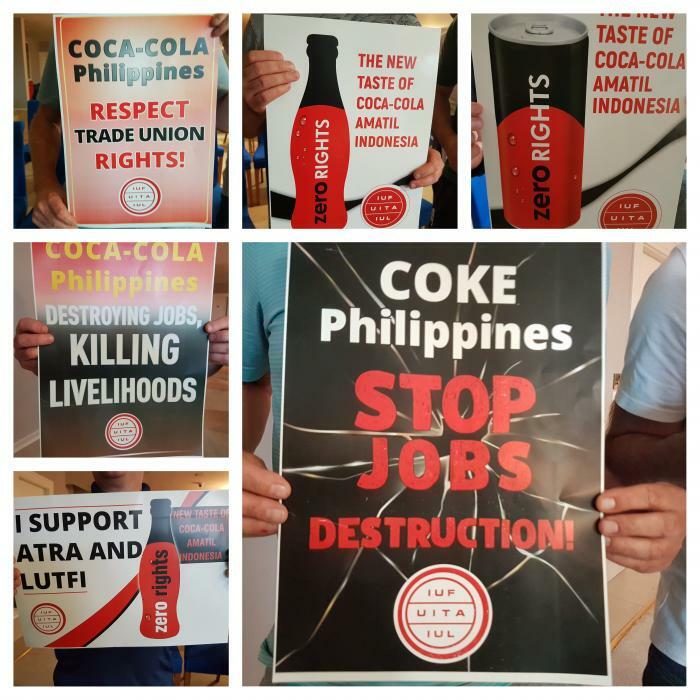 A climate of fear and intimidation reigns at The Coca-Cola Company's (TCCC) concentrate plant in Ballina, Ireland, where management refuses to recognize the union and harasses suspected union supporters. Reinstate the Cargill 14 now! Fourteen union activists were unfairly dismissed from their jobs on April 17, 2018 while organizing a union at Cargill-Turkey in Bursa-Orhangazi. These 14 dismissals follow those of seven other workers who were also unfairly dismissed in 2015. Read more about Reinstate the Cargill 14 now! The award of this year's Arthur Svensson International Prize for Trade Union Rights to the independent trade unions of Kazakhstan is a powerful message of international solidarity and support. The Kazakh authorities' refusal to allow a representative of the country's independent union confederation KNPRK to take part in the June 13 award ceremony should serve to encourage additional international pressure on the government to stop the systematic repression of independent unions and respect human rights. 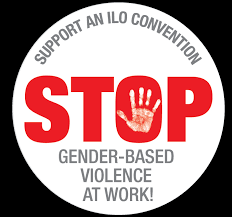 Workers worldwide can welcome the results of the first discussion on violence and harassment in the world of work at this year's International Labour Conference. 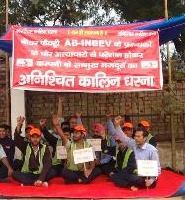 Against the strong opposition of the Employers Group, which was only prepared to support at most a Recommendation, the Standards Setting Committee decided that the fight against harassment and violence require a Convention, supplemented by a Recommendation. Atra Narwanto, chairman of the independent union SBCCD at the company's Cibitung distribution center, has been unanimously re-elected to serve again as chairman. By confirming their confidence in Atra's leadership, union members have signaled their determination to continue struggling for the collective rights which were violated by his dismissal. Human rights abuses are accumulating at The Coca-Cola Company, within its international bottling system and in the company’s own operations. That makes Coke a serial offender when it comes to failing to respect the human rights of workers and acting to remedy abuses. 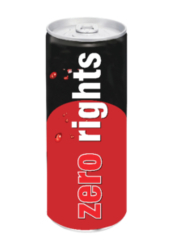 CLICK HERE TO SEND A MESSAGE to The Coca-Cola Company. Coca-Cola FEMSA, which manufactures Coca-Cola branded products in the Philippines, had planned massive forced redundancies in sales and manufacturing even prior to the planned introduction of a sugar tax. When the tax was introduced in December 2017, the company presented a package of job destruction, labour law violations and systematic rights abuses as its new "business model". 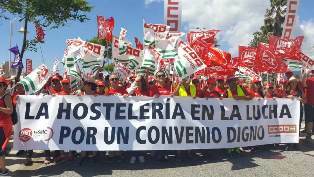 Over one thousand tourism workers, led by the IUF's Spanish affiliates CC.OO Servicios and FeSMC-UGT, marched the more than 60 kilometers from Marbella to Malaga May 22-25 in support of their demand for a new collective agreement. Workers at private equity owned 'casual dining' chain TGI Friday's in the UK launched a third round of 24-hour strikes on June 1 backed by the IUF affiliate Unite, following their strikes on May 18 and May 25. 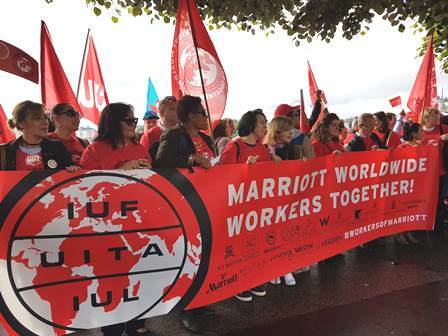 Union members from Marriott hotels in Africa, Asia and the Pacific, Europe and the Americas came together in Geneva on May 29 to voice their demand for global action by the world's largest hotel group to protect workers from the endemic sexual harassment which plagues the industry.